17,000 tonnes bulk raw sugar in Guadeloupe. International prices have continued to fall for two reasons. Firstly there is a dwindling global demand as a consequence of stock being built up by major importing countries. Secondly, as the Northern Hemisphere cane harvests near completion and the market wait to see the results of the early Centre/South harvest in Brazil. The dry weather from December to February has resulted in around 540-590 mln tonnes cane damaged. The estimated global surplus for 2013/14 is just under 5.5 mln tonnes of sugar, this is the third successive year of building stocks with production and consumption near equilibrium. The increase in production in India was offset by decreases for Cuba, Mexico and Thailand. This has resulted in an estimated surplus of 2.4 mln tonnes of sugar for the 2014/15 crop. Beet harvesting continued until January due to excessive rainfall mid-October in France. Beet plantings for the 2014/15 harvest progressed at a faster level this year due to mild weather since February. On average there is a 2-3% increase in planted areas, particularly in France, Germany and Poland. Production from the 2014/15 crop look set to be higher than the 2013/14 crop which suffered from delayed plantings and wet weather during the beet processing. Early estimates for the 2014/15 beet crop are 17.6 mln tonnes. The 2013/14 season has been dominated by high stock levels, lower storage capacity resulting in lower prices. In Russia an increase in acreage due to lower grain prices and early planting should increase sugar production to around 4.6 mln tonnes. Harvesting will commence in August. The Ukraine has seen planted acreage up by 30% which could result in 1.8 mln tonnes of sugar being produced. The political disruption has to date not affected the sugar market. Cane crushed for the 2014/15 crop was 580 mln tonnes, producing 32.5 mln tonnes of sugar, which was 1.8 mln tonnes less than in 2013/14. The diversion of cane to sugar was down to 43.6% due to ethanol paying better returns to the cash strapped mills, although the fuel mix remains at 25%. Crushing began in April benefiting from dry and cool weather, so we expect to see improved yields over last year. The extra rainfall, growing time and an increase in planted area earlier in the growing season, followed by dry weather during harvesting has resulted in a record crop, producing 11 mln tonnes of sugar. Recent rainfall during the growing season should help improve prospects for the 2014/15 crop, although a significant amount of rain will need to fall during the rainy season to offset the arid harvest period of the previous crop. A small reduction in planted cane for Uttar Pradesh should not affect the 2014/15 crop as recent rains in central India is excellent for the yield potential. It is expected that production for the 2014/15 crop will be above the 2013/14 output of 24 mln tonnes. 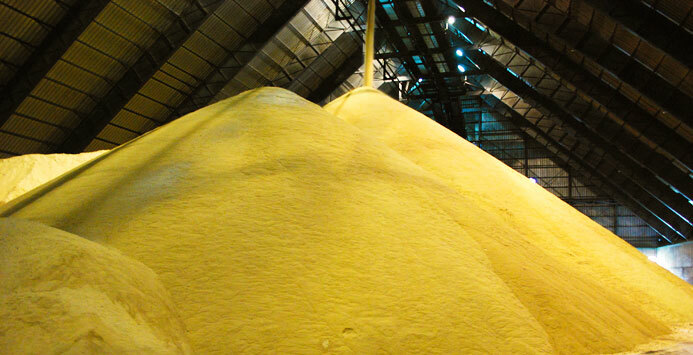 With a high level of stocks the mills are expected to export around 1.0 mln tonnes of raw sugar onto the world market. The sugar mills are reluctant to export raw sugar now that domestic prices have risen by 4%. Total exported sugar for the 2013/14 crop was 750,000 tonnes. The 2014/15 cane crop is likely to be below the 4.1 mln tonnes produced in 2013/14 due to Cyclone Ita that has damaged up to 70% of the Queensland crop. The possible loss of cane could be as much as 1-3 mln tonne or 100-250,000 tonne of milled sugar. Freezing temperatures in the Red River Valley delayed beet planting with estimates at a 4% reduction for the 2014/15 beet crop. In April US producers launched an anti-dumping petition against Mexico which could result in duties of up 45% on Mexican imported sugar. In Mexico there is two months remaining before the cane harvesting ends with estimates at 6.0 mln tonnes, down 700,000 tonnes on 2013/14 crop. Production of the 2013/14 crop finished at 13.3 mln tonnes, up 33k tonnes on the previous season. Cane sugar production accounted for 12.3 mln tonnes and beet sugar 746k tonnes. China continues with building a sugar stock, which is almost at 50% of consumption.